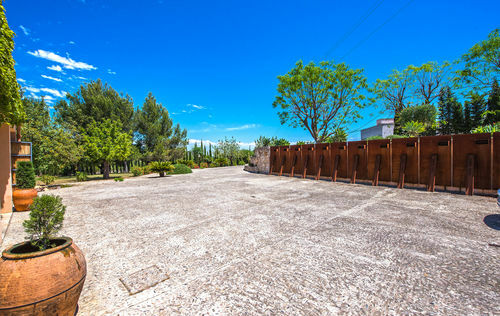 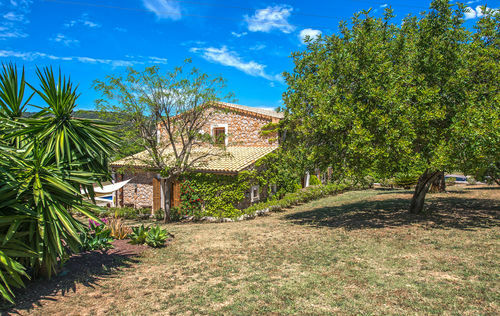 The natural stone finca with its typical charm is set on a large plot of approx. 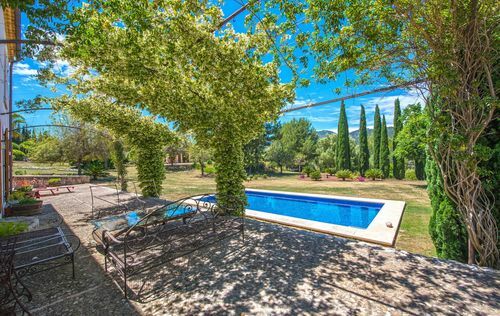 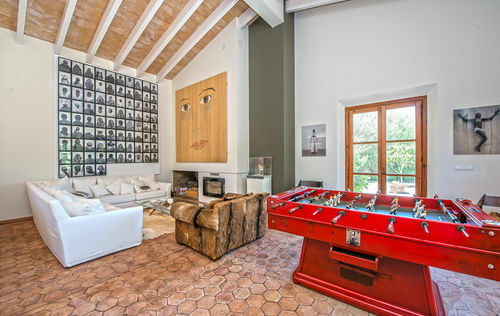 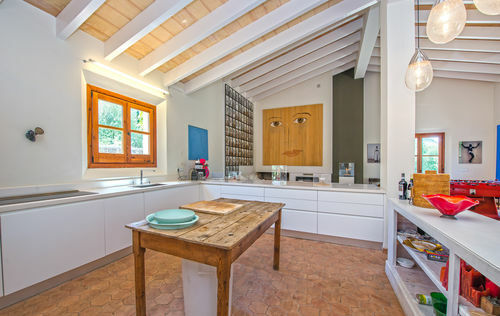 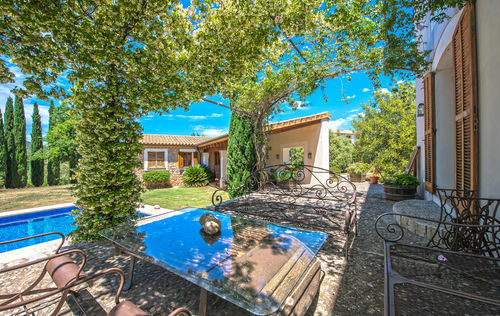 21.480m2 surrounded by nature and yet close to the center of Palma. 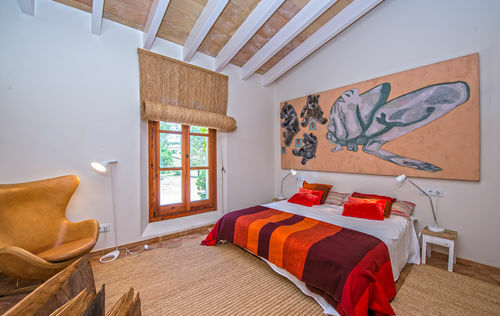 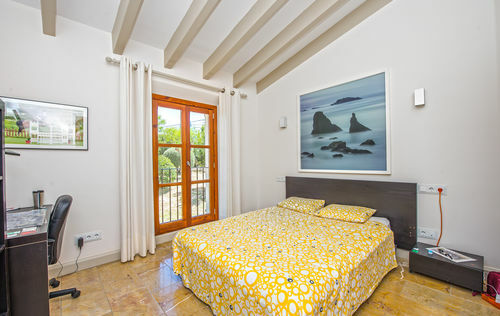 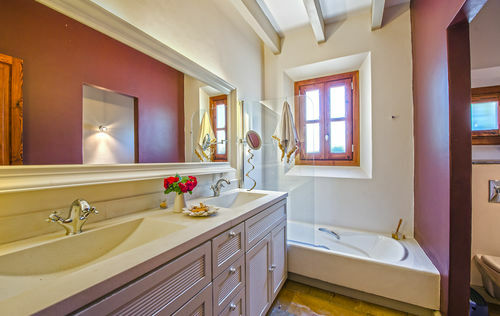 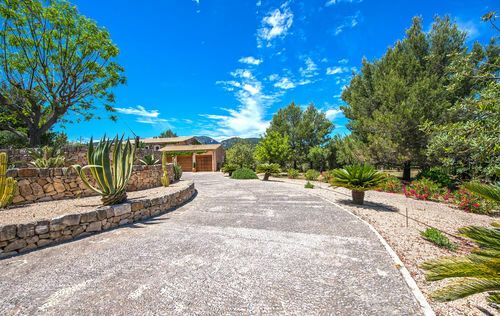 It offers peacefulness and an extraordinary panoramic view over the adorable Mallorcan landscape. 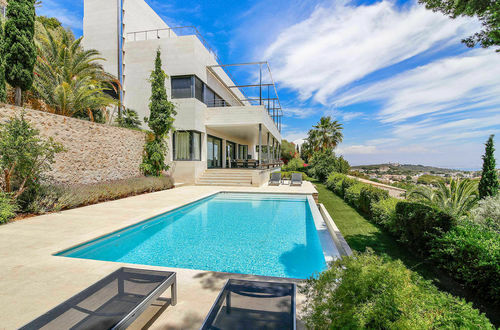 The living area is about 588m2 and is divided as follows: a spacious living room, a separate kitchen, a master bedroom with en suite bathroom and dressing room, a storage room and a guest toilet on the entrance level. 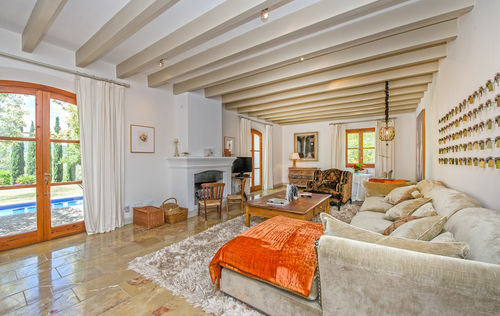 A living or TV room and four bedrooms with en suite bathrooms on the first floor. 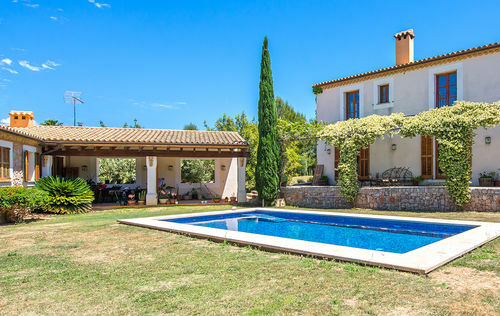 The outside area offers several open and covered terraces, a swimming pool and a large garden as well as three other buildings: a guest house of approx. 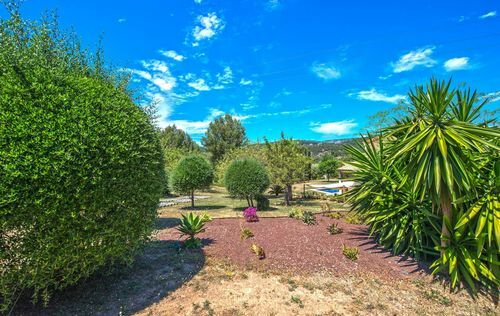 146m2 with living room, open plan kitchen, a bedroom and a bathroom; a staff accommodation of approximately 46m2 with living room, open plan kitchen, a bedroom and a bathroom and another building with garage for two cars and a laundry room. 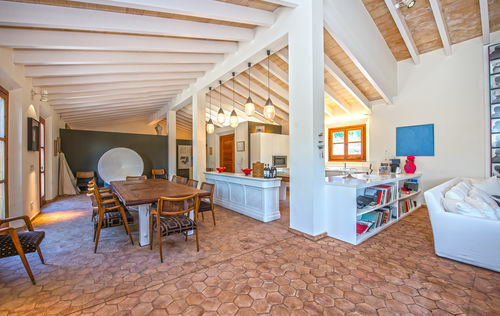 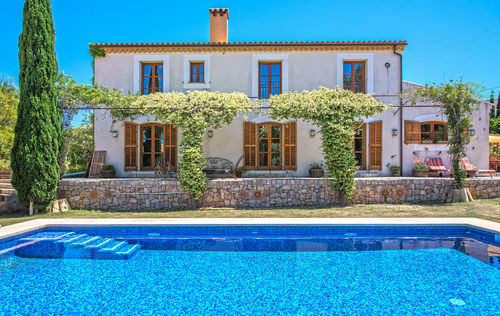 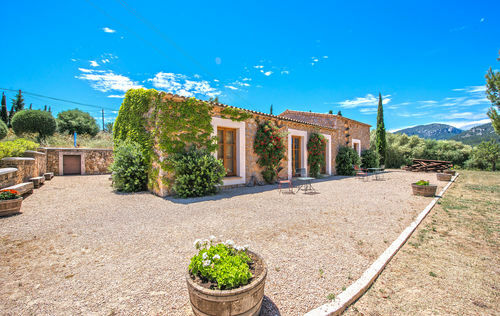 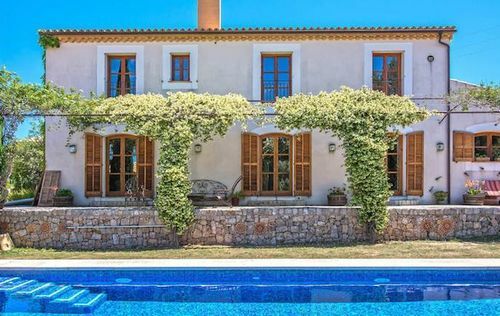 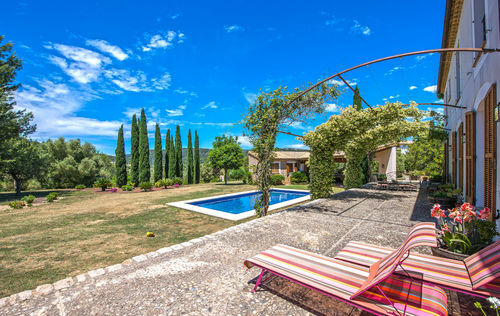 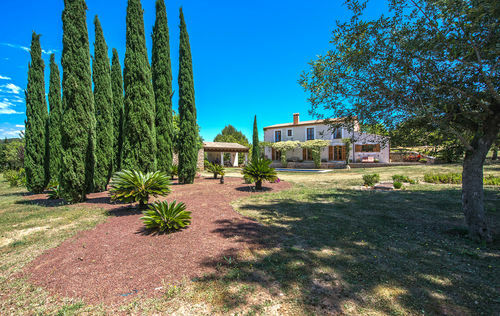 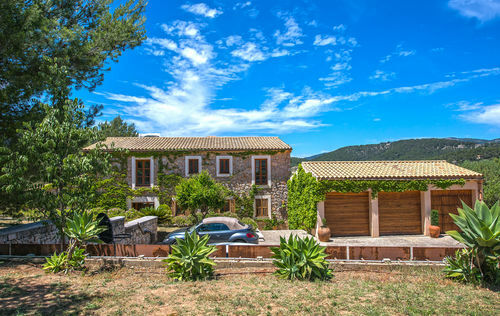 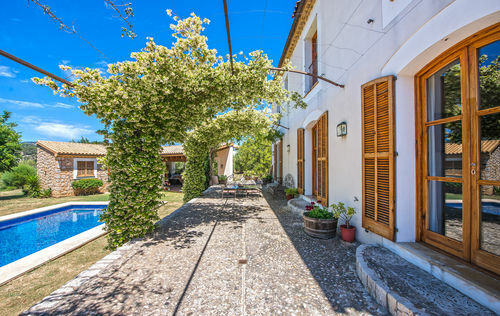 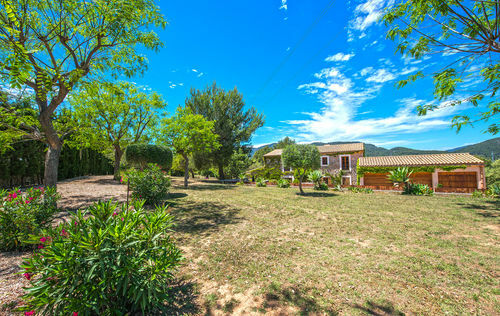 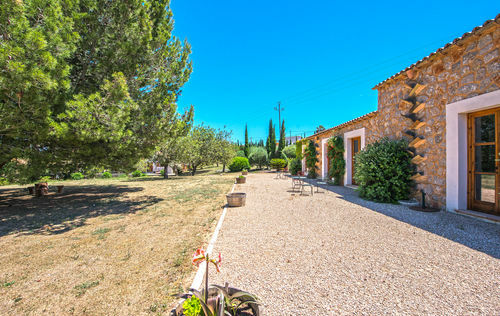 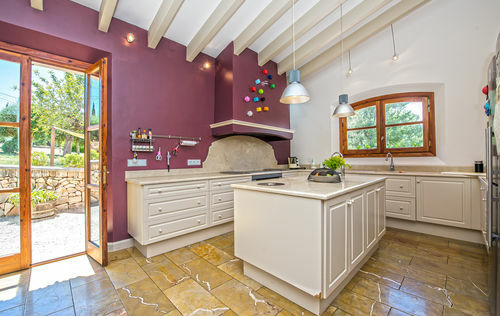 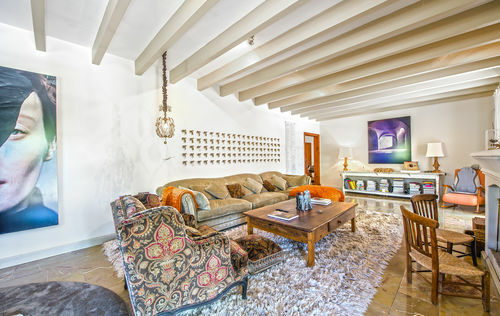 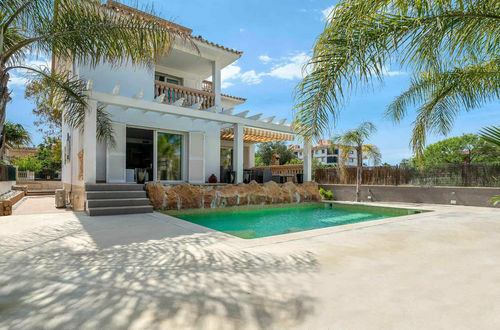 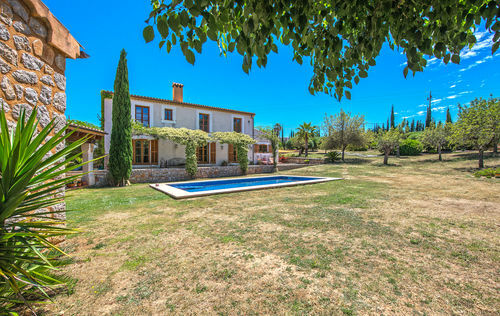 Further features of this beautiful finca include double glazing, underfloor heating, air conditioning (w/c) high ceilings with wooden beams, marble floors, a fireplace, built-in wardrobes, a BBQ area, an automatic garden irrigation system and a well. 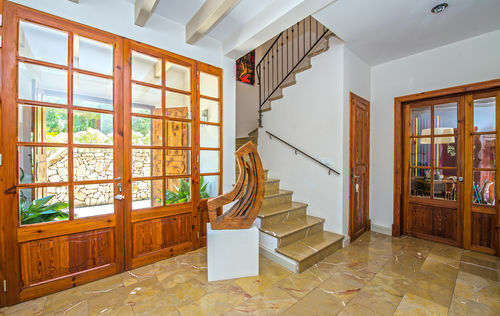 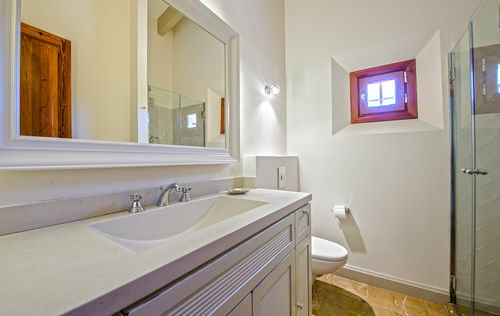 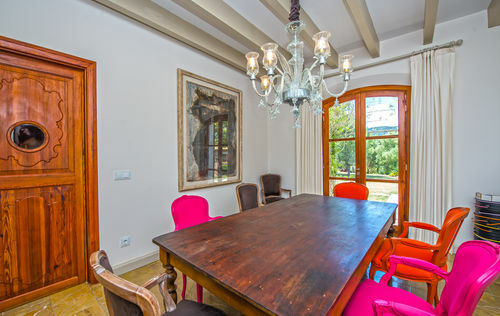 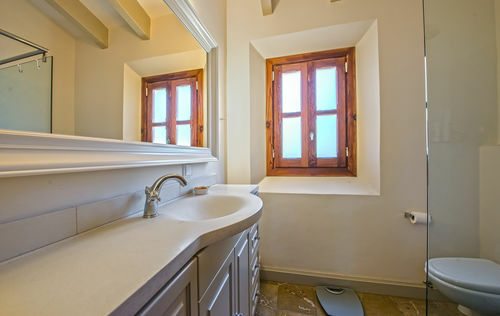 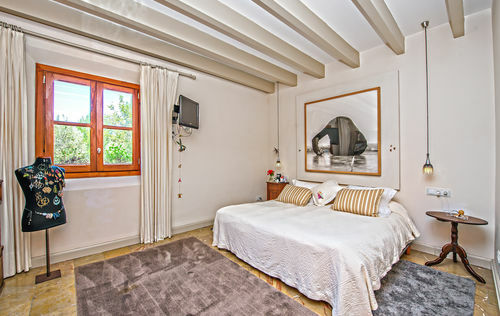 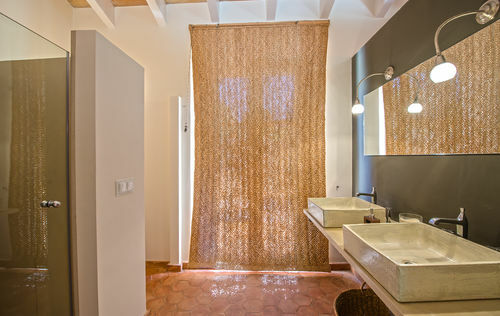 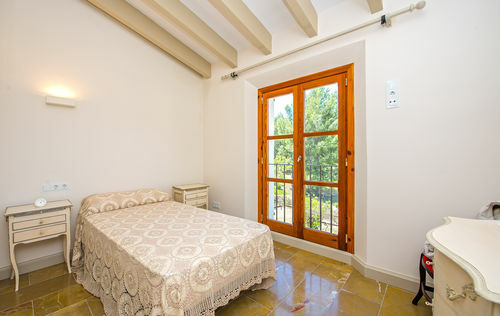 From the property you can reach the old town of Palma in a few minutes. 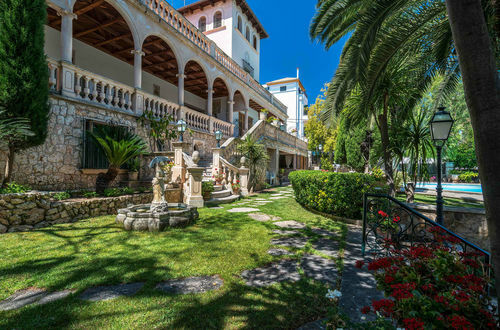 You will be enchanted by the charming little streets, the impressive historic buildings and the hidden courtyards, as well from the numerous sights, restaurants, cafes and shops.